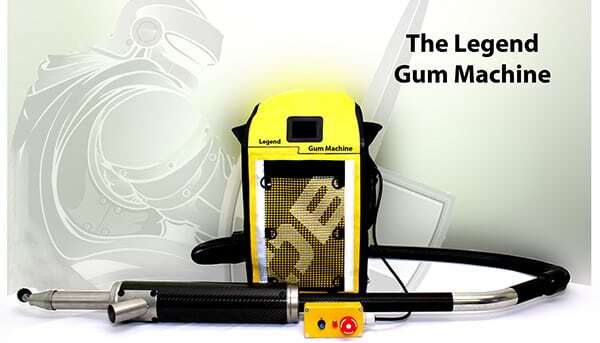 The Legend Gum Machine is a highly durable portable machine which weighs 9kg (back pack, gas, gum removal solution, pump, fan, lance and controller) which means it can be used for long periods. It is extremely safe for the operator to use as there is minimum pressure used, with little sound from the steam generator, which is located in the lance and away from the operator. The Gum Removal Solution is a unique, environmentally responsible “green” detergent. 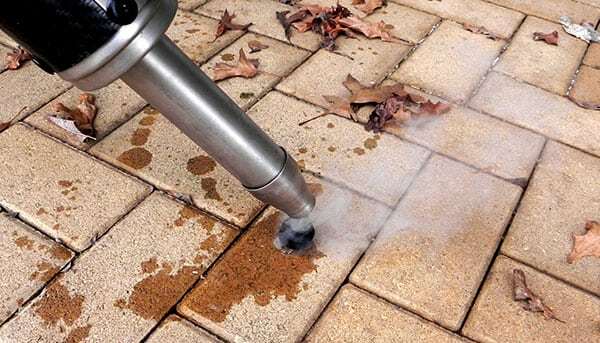 The raw materials are derived from renewable resources and is non-hazardous and will not damage the substrate or grouting. This machine is ideal for use in Schools, Colleges, Universities, Local Authorities and all public areas and can be used anytime during the day when people are walking by.